What Do Mormons Believe? » Was He Married? Q. Was He [Jesus] married? Longish answer: Funny you should ask. 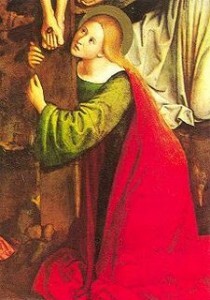 Historically there has been some widespread speculation about that, particularly with respect to Mary Magdalene. Thanks in part to The DaVinci Code, the issue has become more a part of popular culture in recent years. It’s a fascinating debate, filled with all kinds of gnostic gospels and symbolism and things. The LDS Church has no official statement about the subject (despite some speculation by early Church leaders in the affirmative). The Bible doesn’t say He was, the Book of Mormon doesn’t say He was, and neither does the book of Doctrine and Covenants. But—and I’m hoping I speak for the majority here—I wouldn’t be at all surprised to find out He is, especially considering that we believe marriage and family to be a central and necessary aspect of full happiness in the eternities. So, (purely my own opinion) I personally think He probably is, but I don’t think anyone now living knows for sure. Incidentally, one of my favorite things about believing in continuing revelation and modern day prophets is that I have a good deal of hope that questions like these will be answered in the future through a prophet. We don’t have to claim to know everything about everything now because the gospel is living and being clarified and added to all the time. It’s a luxury that’s somewhat unique to being LDS, and I like it. I like how you keep this short and sweet. Nice post. In order to be recognized as a legitimate teacher in Christ’s time, you had to be at least thirty years old, married and possibly already have one or two children. Perhaps it is embedded in the cultural strains of the New Testament (which is why the stories have persisted through the years). Also, I’ve had enough experiences praying for help in my marriage relationship to know that He knows where I’m coming from. But that is not very tangible “proof” for anyone but me.